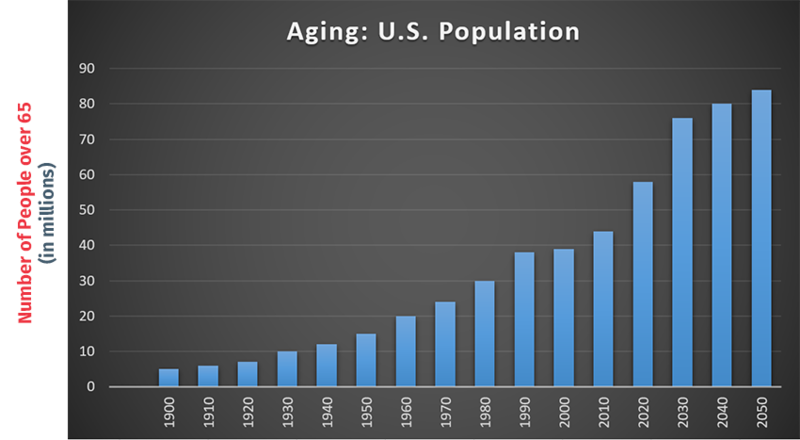 It is no secret that the population is aging at an exponential rate. An average of 10,000 people a day turn 65, equating to roughly 13% of the population being 65 or older. A rapidly aging population coupled with tremendous advances in technology over that same time period have created a digital divide: an incredibly large technological gap exists among generations. Today’s younger generations now have an obligation to introduce and utilize these advances in technology to improve the quality of life for our aging population. The explosion in the number of individuals 65 and older is largely attributed to the aging Baby Boomer generation and partially attributed to advances in healthcare that allow people to live longer, healthier lives. While an expansive aging population is a wonderful thing, it is time for individuals and senior care organizations alike to start thinking about how seniors can benefit from the same technologies we take for granted. A great example of this exists in the innovations that have been made over the last decade in smart phones and tablets. In an instant, we can engage with friends and family through high-quality, HD video, a feat that the aging population never thought possible. Why are we not leveraging this technology to bring peace of mind to our Greatest Generation? In a December 2015 study conducted by Age Wave, research found that individuals over the age of 60 ranked “an affirmation of loving family and friends” as the most important matter in their lives — more important than financial stability and even more than their own physical health. This study further drives home the fact that we have an obligation to engage with our older loved ones. Smart phones and tablets with camera capabilities give us the ability to engage with an aging loved one, even if you live 1000 miles apart. 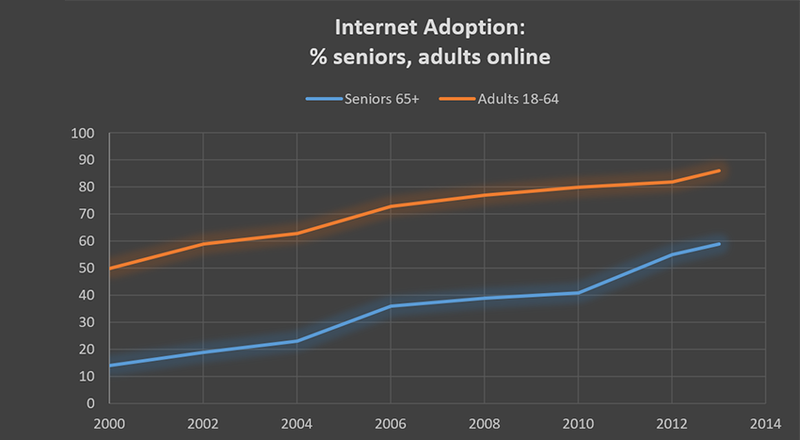 Finding technology that is easy to use and unintimidating to seniors is absolutely critical. This is at the heart of our company’s mission. HeartLegacy has developed a senior engagement platform that allows seniors to connect with family in a way like never before. Residents in senior care communities can not only communicate with family through high-definition video, but can capture and pass down family traditions, stories of their lives, or just simple words of wisdom. This technology is cultivating peace of mind for residents because they can confidently pass on things they want their great, great grandchildren to know; adult children find peace in knowing that they have beautiful and meaningful memories of their mothers and fathers. HeartLegacy is leading the charge to bridge the digital divide that exists today. We’re bringing today’s technology to our aging generation in a way that is easy to understand and vastly improves their quality of life – all while providing peace of mind to families and loved ones. We’re afforded an incredible opportunity with the technology available to us. If we’re proactive in engaging and capturing the words of our Greatest Generation, we can carry on our families’ legacies in a way never before. If we don’t take action, we will be missing an opportunity to not only preserve their legacy, but also provide them the peace of mind that they deserve. What are you or your organization doing to bridge the digital divide?